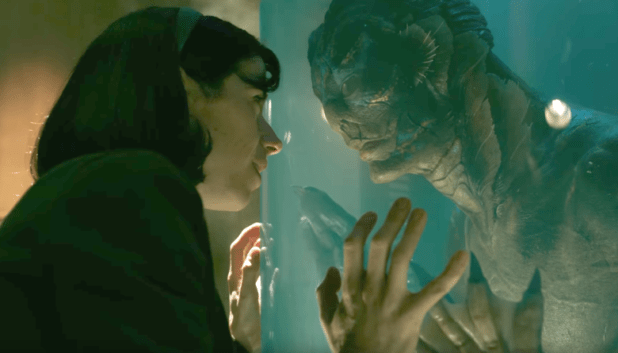 The first round of Best Picture Oscar winner predictions for the 90th Academy Awards are in and the Gold Rush Gang sees The Shape of Water taking the crown as of today. The film has the Producers Guild and Art Directors guild awards right now, with many more to roll out in February, including the Directors Guild and Writers Guild. But it’s no cakewalk for The Shape of Water, which missed the still-crucial SAG Cast nomination in December. And what of the film’s plagiarism accusations? Will those, well, hold any water? Our 2nd place, Three Billboards Outside Ebbing, Missouri, did not miss – it won. It also won Actress and Supporting Actor, showing strong support from the largest branch in the Academy. But, with voting on winners not even starting until February 20th, can the film’s backlash take hold and keep it from winning? Between that and Martin McDonagh missing that Director nomination, the film is hobbled quite a bit. Elsewhere, Get Out and Lady Bird also both have obstacles if they want to push past the top two. No Golden Globe Director or BAFTA film nominations will make it difficult, especially when something like Phantom Thread came in and over-performed on Oscar nomination morning. Here are the Best Picture winner predictions from the Gold Rush Gang as of Monday, January 29, 2018.